Book your dream Reethi Beach Resort holidays now! Reethi Beach Resort Maldives is located on a small island in Baa Atoll, a picturesque 35 minute seaplane flight from Male’ airport. The hotel is settled amongst lush tropical plants, shaded by elegant palm trees and encircled by a lovely white sandy beach and a lagoon of crystal clear turquoise water. 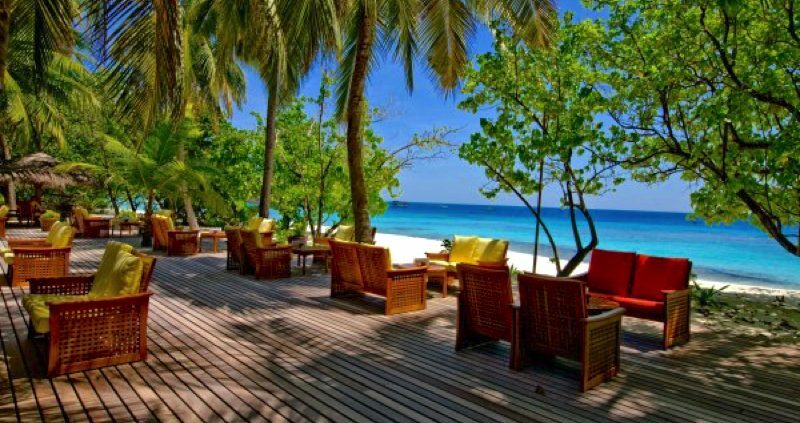 Reethi Beach Resort is very environmentally friendly and uses only 15% of the land. Reethi Beach Resort management and staff are devoted to the upkeep of a supportable, eco-friendly environment, continually improving their preservation strategies. Reethi means Beautiful and a better word cannot be found to describe this wonderful island. Elegant and expansive detached and semi-detached beach villas, are built from natural resources in the typical Maldivian style. The Reethi Villas are comfortable and designed to balance with the splendour of the island. 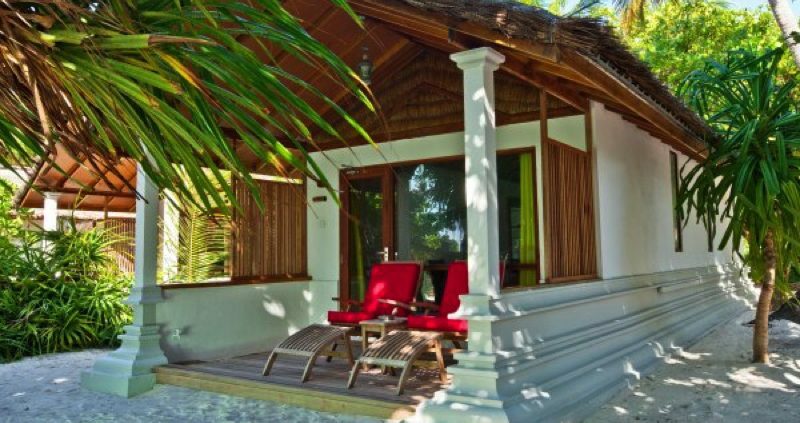 There are 30 detached or semi-detached Reethi Villas. Only a few paces and you are on the lovely sandy beach. Each has a partially open-air bathroom with shower rooms. Deluxe Villas are found next to the exquisite sandy beach with an incredible view of the crystal clear lagoon. They have a larger sitting area and a traditional Maldivian swing seat just outside. There are 50 detached beachfront Deluxe Villas. Each has a partially open-air bathroom with bathtub and open-air rain shower, bathrobes, a terrace with deck chairs. 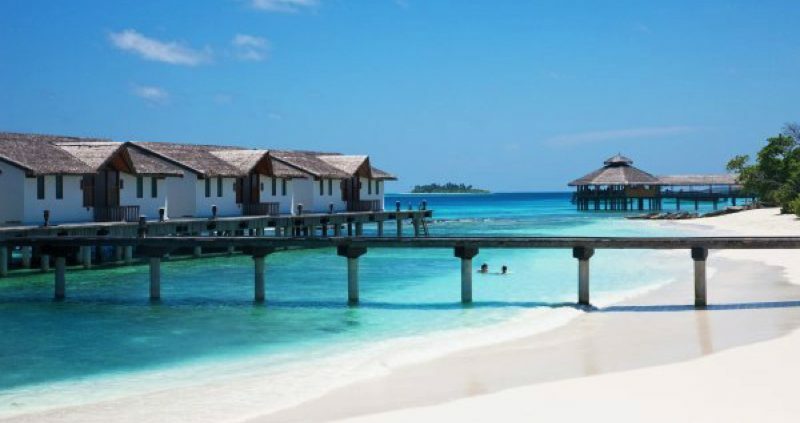 Water Villas, built on stilts over the blue waters of the lagoon, are designed especially for the ocean fan. There are 30 semi-detached Water Villas. Each has a bathroom with bath-tub and separate shower, bathrobes, large sitting area, DVD player, tea and coffee making facilities, balcony with sitting area, sun beds, direct lagoon entry and a fantastic ocean view. There are 5 restaurants which include a buffet, gourmet and speciality eateries. 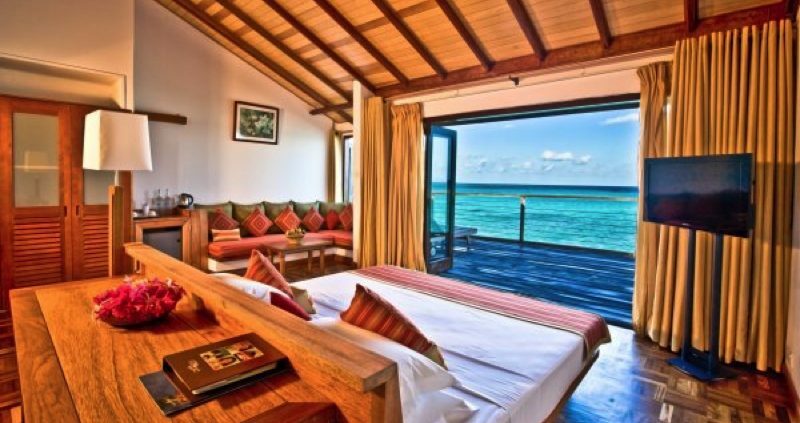 Reethi Beach Resort caters for the most astute patron. 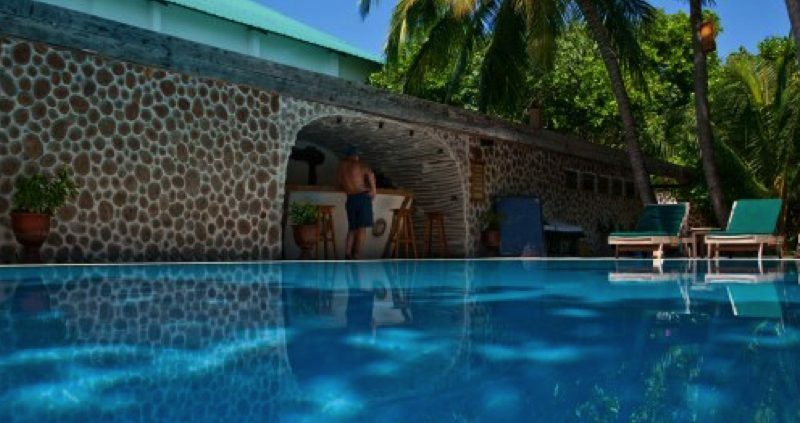 There are also 5 bars which include a pool bar and 3 beach bars. There is plenty to keep you fed and entertained all through your holiday. The Rehndi is the main restaurant serving buffet-style breakfast, lunch and dinner. The Reethi grill is open air restaurant with fantastic views of the beach, it offers a real grill taste, with a true live cooking experience. Moodhu bar and restaurant is on stilts over the lagoon, you can get a wide range of a la carte menus, everything from sandwiches to lobster, western and eastern cuisine, and a full choice of drinks. Alifaan is a casual daytime venue by the pool with a wide selection of your favourite snacks. Saima Garden is an exclusive boutique restaurant, with only 5 tables, serving international and Maldivian dishes. Veyo Bar is by the pool, near the Sports Complex and close to one of the nicest stretches of beach on Reethi Beach Resort. Rasgefaanu is the main island bar, with a deck and semi enclosed bar. There are 3 beach bars situated around the resort, so you don’t have to far to wander for a refreshing beer or cocktail. If you would like to celebrate a special occasion or enjoy a romantic evening, this can be arranged for an extra charge. Choose to dine on the beach, or on a nearby uninhabited island. 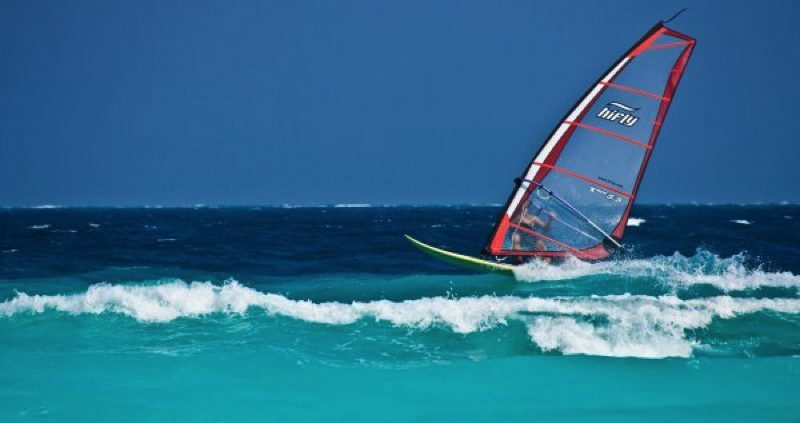 Reethi Beach Resort has a water sports centre that offers a wide selection of water sports activities. Choose from Windsurfing, Catamaran Sailing, Traditional Dhoni ( Maldivian sailboat ) Kite or Water Skiing, Wake or Knee Boarding, Fun Tubes and private excursions. There is a 5 star PADI dive centre on the island. There are approx. 30 dive sites most are reached after a 20-30 minute boat ride, so there is plenty of choice for diving. There is a chlorine free freshwater swimming pool, 2 grass tennis courts, badminton courts, table tennis tables and a fully equipped gym. If all that sounds like hard work there is always the Spa, found on the beachfront offering a range of treatments for individuals and couples and after a hard day on the beach relax in one of the 5 bars or take cocktails on the beach.